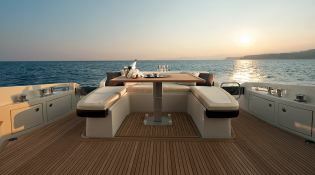 This Azimut 62S is a stunnning modern luxury 62ft Motor Yacht built by leading Italian yacht builders Azimut Yachts. 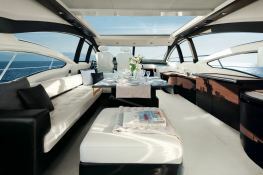 She has extraordinary speed and power but set in luxury comfort for magical days out on the water. Cruising speeds of around 32 knots can take you to the best beaches in no time where you can relax and be pampered to your every needs. 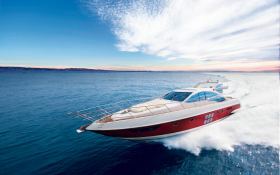 Azimut 62S comes with a 210 SeaRay speedboat for extra fun on the water and easy access to remote beaches. 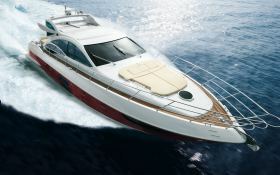 This Azimut 62S is ideal for those who want the highest quality, style and comfortThis motoryacht is available for yacht charter with a base price of 17 600 € (approximatly 19 848 $).